personal article, (but maybe some pretty lady might like it). I wish my first fiance from the late 70’s might read it and send me an email: Paul sailingtokansas@gmail.com. The Daily Walk with Love (Link to Home page and blog), April 9, 2019, by Paul Evans, originally published January 11, 2016, by Paul Evans. Video Alan Watts – Being Completely Here And Now courtesy of mindhush and YouTube. Dedicated to Paul Yuhanick, my own religious teacher for several years. 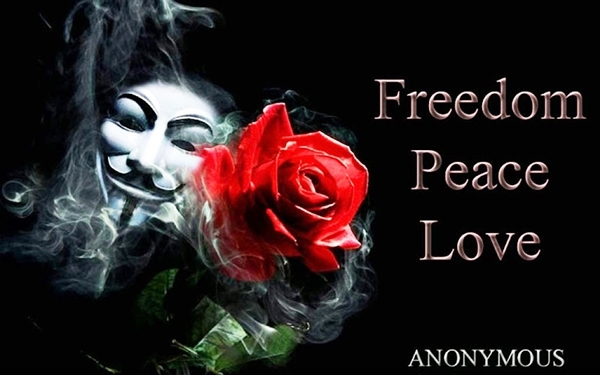 Brothers and Sisters, Peace & Love, thru the darkness! The featured photo is called “Old Buddha,” and I can’t remember quite where I found it but I can really relate. 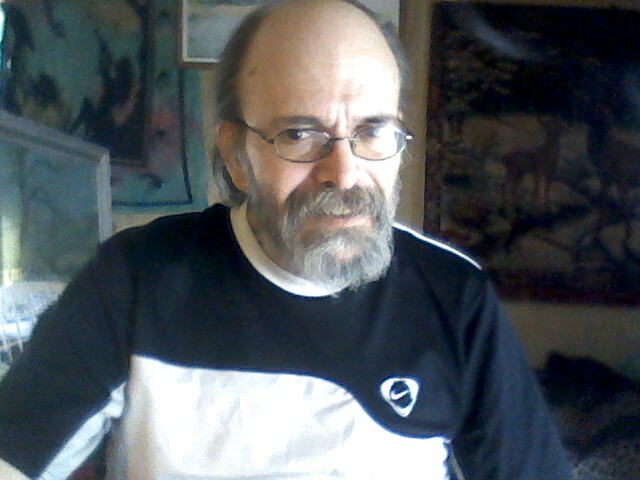 (the photo of me is from mid-2011 – I still look like this but with a longish, white, gray (and there is some brown left) goatee, not a beard or stubble.) Sometimes I feel “enlightened” as the Buddhists conceive it, and I know I can do anything if I only simply have simple, honest faith in our God, and ask it in His Holy name. But you know, you can’t change people. For real. I guess I have full faith in God, and only God, as He said. People tend to disappoint me. As Buddha said, “for all know the way but few walk it.” (Jesus, being perhaps a bit more realistic, said “for many know the way but few walk it.” Buddha lived 500 years before Christ. There are those who claim that Jesus went to India and Tibet during his “lost years” between age 12 and 30, and there actually is archaeological evidence for this journey, too. I will not let you down again, Paul. As the poet Robert Frost said, “The woods are lovely, dark and deep. But I have promises to keep. And miles to go before I sleep.” God Bless and Blessed Be everybody. This is a “diary” where I am thinking and “feeling” from my heart ideas and concepts about dharma, depression, God, success, failure and my parts of my life. Hopefully here’s some really good music, too. It’s just a “flow” of who I am, a sort of stream of consciousness discussion I am having with you. A Quick Story: The Zen master stood before the student, who asked “teacher, what must I do to gain enlightenment,” which in the first place is the wrong thing to ask, enlightenment just happens with a deep understanding of suffering, but anyway the teacher takes a stick and writes in the sand at his feet the single word “attention” to which the student is confused and asks again… whereupon the teacher stoops over and writes the two words, “atttention, attention.” Now the student is truly puzzled and so asks one more time, “teacher surely it cannot be so simple,” and of course it’s not you have to really CARE, but the teacher, continuing on with the lesson then writes, “attention, attention, attention.” Do you suppose the student was listening? Still, life seems so unfair sometimes. In this regard, I like a saying I found on a photo featuring a lion, which read, “Don’t expect fairness. Expecting the world to be fair is like expecting the lion not to eat you because you didn’t eat the lion.” Life is like that, and in the end, time does take its toll. Yet still I know, most people DO try to be fair, and I am very grateful to God for all the help I have received over the years. There must be a thousand times in the last several years when, if people hadn’t helped me, or showed me a kindness, I really would have died, or killed myself, or been put in jail. God Bless you kind, caring people! I would not have made it this far without you. But you know, a lot of people have misunderstood and hurt me, too. I also would never have made it without good music to listen to. Check out the Doobie Brothers performing (Music is) The Doctor. Shakespeare once described this life as “this veil of tears.” I guess a “depressed” but realistic view, in some ways, is that we keep trying, until we are too old and hurt and used up to try any longer, with any sort of success. …Some rockers have described death as “an open door” to which my dad added that, somehow, nobody wants to go through that door and find out what’s on the other side. They say some people have died and come back, and that some people actually do stuff like wake up in the morgue. Happens sometimes. As a faithful Christian I have decided to have FAITH that God, whom I strongly know is real, has prepared a place for me in heaven. I do have hope. Without hope, what’s the point. There are so many ways in which it is important to understand fully the Zen concept of the Now. “Zen” refers to Zen Buddhism (Buddhist Temples website). It’s good to check out ALL the resources from a Bing search for the term Zen Buddhism. In some ways (that is, outside of Christianity), this is where it’s at in modern human religious studies today (And Buddhism as I practice it is not a religion anyway, but a philosophy of how to live. This mainly simply involves a strong reverence for Life and all living things. Also see our article, The Ten Commandments of Buddhism, The Daily Walk with Miracles, June 30, 2017, by Paul Evans. Some of you at times have acted towards me as though you thought I was a witch; now I suppose you’ll accuse me of being Buddhist, lol. Please don’t doubt my own Christian beliefs; I practice some Buddhist beliefs as my own system of ethics, not as any religious system.) As the Bible says, “God is Life.” Always affirm Light and Love (the Holy Spirit) and Life, NEVER hate or death (or war). To truly live “in the Now,” we don’t even consider what time it is. Especially we don’t think about the past. We live fully aware in the present moment, planning for but not even considering the future, either. One way or another, the future will happen, there’s not anything we can do to stop tomorrow, right? And there’s no point in worrying about the sins we’ve done in the past. The past is over. Don’t even CONSIDER the time. Live “completely here and now,” or as the rock group Chicago says, “does anybody really know what time it is? Does anybody care…. ?” Well, yes, people care, and also you gotta try to keep your appointments! The point is to live in full awareness, sensing all around us, with as much understanding as we can have. As Solomon said, “get understanding, that’s the principal thing.” See Real Help – Mindfulness: “Being Real” and Truly Conscious, The Daily Walk with Miracles, December 29, 2015. Feel the stillness of the Now. Understand the freedom of the silence. When there is music, let it wash over you. This music washing over you IS “the sound of silence,” in a sense, full consciousness and awareness. This is mindfulness. It only comes in the now, with Love. The truly sad thing is that, in relationships with people in your lives, Love isn’t always enough. The Bible said Love conquers all. “Love is gentle, love is kind. Love never fails.” Some people are soo damaged. Sometimes all the Love you can offer a person can’t “fix” them. I only wish I could make everything better for everyone. I can’t even find a girl who will love me and be affectionate and loyal. When I do, the ones God has brought into my life have only hurt me and I couldn’t fix them and make it work. I don’t know why, it’s like it’s Fate. Read I Can’t Change the Sunlight, What the Basement Said: nonfiction, monsters, and dachshunds, January 6, 2016, by Patrick W. Marsh. Steven Hawking, the astrophysicist, discovered that many (at least many, if not all) so-called black holes aren’t even really “black holes,” because light is NOT destroyed in them, but simply reflected away from them. This is why the center of the Milky Way glows bright white. That which is perfect cannot be destroyed, and so there is no place left in the universe which is perfectly black any more. And THAT is why everything but LOVE is in a sense an illusion or a delusion, or a form of mental illness. Can you see that? Just as, most Christians believe, Jesus is coming soon, and someday Time itself will end or cease. Watch Yes – “Soon”. Some advice you hopefully might like: Watch Ain’t No Fun (Waiting Round To Be A Millionaire) [MIX], from the album “Dirty Deeds Done Dirt Cheap” (1976) on YouTube. (I know AC/DC can get Satanic sometimes, but computer geeks do seem to almost all like them. Call it an “occupational hazard, LOL.) Yeah, MONEY, that’s pretty much one of the main ways evil has always attacked me. Figures, doesn’t it? Also, my friend Paul Yuhanick always tries to tell me, “even a fool may be thought wise if he knows when to shut up,” which I have found to actually be (true) most of the time. Real wisdom. But then, “I blog, therefore I am,” or some such excuse for thinking I might offer a little help to people and serve God, somehow. Finally, let me repeat a quote that says a lot about the strong role of Fate in the world, overall. “Sometimes you’re the windshield, sometimes you’re the bug.” I had this dream about three years ago in which I actually consciously interacted with Fate itself. Fate said I had a good future, and I have always believed that, despite a lot of suffering, I would know what love is and know the love of a caring woman before I die. I have faith God will grant me that. I have a lot of faith in the future in general. May it be. Amen. You have to persevere, no matter what blows life throws at you. You have to dig down and find the strength, and when you don’t have any more strength, then is a real good time to “let go and let God,” as Unity church teaches. And IF you survive, as long as you survive in this life, remember the quote from Louis Pasteur, “chance favors the prepared mind.” You must “suffer the slings and arrows of outrageous fortune.” No matter what happens — take away my money, or even take away my life — but I know “they” won’t take away my dignity, OR my faith, this I vow. Watch Simon & Garfunkel – America. My blogging is a in one sense a kind of search for the soul of America. I wonder where we’re headed as a country. I wish I were innocent again. Life has taken my innocence from me and I have these feelings of resignation. It’s really more like the Buddhist concept of Dharma than it is like depression. I’ll hold my head up and not give up. I guess I’ve had some bad karma to get past. As for my mental illness, I’m very, very fortunate that society is “taking care of me.” In a lot of societies and times in history, I guess I would be dead by now. God Bless America! Let me be clear, I cannot now quit smoking CIGARETTES. For fun, watch Far Out Man Full Movie (Stoner Movie) FULL MOVIE — 1:30:30. People, I’ve suffered because of mental illness most of my life, but I’ve learned that, in fact, “sanity” is a mean statistical norm. As Rush says, “conform or be cast out.” Well, “God” IN THE SENSE OF SOCIETY cast me out. I believe in One Holy God of Israel, and He is Light and He is Life and He is Love, the Trinity. I know He loves me, too. HE “don’t” judge me because I smoke, either. Don’t you get it? The price has already been paid if I am less then perfect, if I sin sometimes. “For none is righteous. No. Not one.” and “If I say I am without sin, the truth is not in me.” Stop trying to be perfect, people. Just accept the circumstances in which you find yourself, Love one another and be yourself and don’t judge people. Yeah, Grace church, you’re right about my smoking. I’ve wasted way too much money on it. But you were WRONG to deny me help just because I have an addiction problem. Hey, you’re addicted to DOCTRINE and Religion. I follow NO doctrine, only Jesus and the Gospels. Only way to be. Watch Rush: Earthshine (Rush in Rio). Stop hating witches, Christians. The ONLY (or at least the main) reference in the Bible telling you to hate witches is “Thou shalt not suffer a witch to live,” but that is a mis-translation. The actual Hebrew reads, “thou shalt not suffer a ‘POISONER‘ to live.” Poisoner, NOT witch. I bet you the Pharisees of the middle ages deliberately put the mis-translation in there. So they could do stuff like burn witches at the stake. Can we all just do like Jesus asked and love ALL our neighbors as ourselves? THAT’s why Jesus died for you, you know. I know, you probably hate witches anyway. But, just maybe Jesus, himself WAS a witch, “hiding” as a Hebrew, just as a lot of Jews have decided to sumberge their identities in the general population, given the Spanish inquisition and the genocide of WWII. Who’s to say? Maybe Jesus was a witch hiding as a Jew, and trying to show them a thing or two. Have you ever seen too many mortals walking on water and stilling storms and all that? Just sayin’. I insist, I am NO witch. I never belonged to any coven and nobody but God (and also the Yuhanick family) ever trained me. Didn’t you realize, Jesus is God, and it was GOD who died for you there on the cross? I am a charismatic spiritualist Christian. But if i were a witch, that’s simply a different perspective on the same reality. All life is sacred. I love you all. That is absolutely the truth, so help me God. Damn it, why can’t we all be brothers, why can’t we live in peace? Amen. I have a question for you, everybody. Why is the sky blue? The truth is, nobody knows. Most scientists say it’s because of the ammonia up there from decaying organic matter. But question an honest scientist further and he’ll admit that there is no chemical or thermodynamic reason that the ammonia should be in the sky in significant quantities at all. Ammonia is chemically unstable, they say, in the presence of oxygen. “Oh, well.” Gott im Himmelblau!. (God in the blue of the sky, German, used as an expression of general astonishment.) Maybe so far as the skies are wide. I need some smelling salts. Blessed Be the name of the Lord. I’m sorry, I am just human and I smoke cigarettes, probably because of a very, very difficult and unusual addiction history with them. 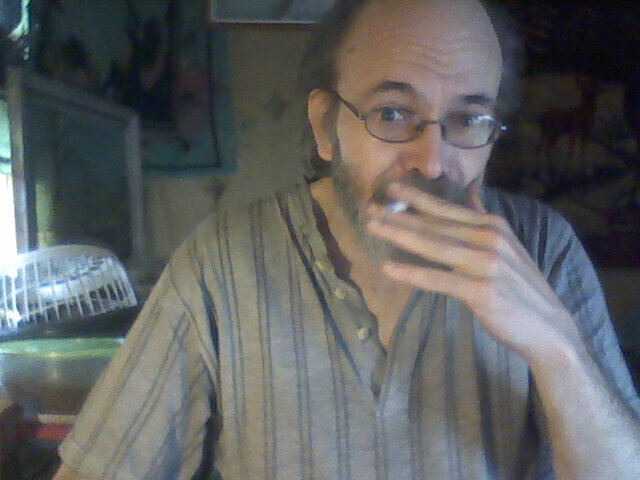 Moreover, God Himself told me he forgave me my smoking. Why must people dislike, hate or judge someone just because they are only human, and not perfect? I wish I could be perfect and be Jesus, and save the world, because I am very afraid prophetically that we are going to have a horrible war and cause nuclear winter. God, please, I beg you, let it not be so. In the name of the Lord, I ask it of you, God, Amen. Finally, I want to honor a true hero who passed on not long ago, dearly beloved rock star David Bowie. See David Bowie Dies at Age 69 After Battling Cancer, MSN, January 11, 2016, by Mike Barnes. Some people loved him and sadly, some hated him, I guess. Hate has no place in a Christian’s life, seeems to me. But a LOT of very thoughtful people think David Bowie was pretty cool. See Saint David Bowie? Not yet, but faith leaders pay respects to dead rocker, Religion News Service, January 11, 2016, by David Gibson. I will always love you and listen to your music, David. Check out David Bowie Greatest Hits [Full Album] || David Bowie’s 30 Biggest Songs. David had some interesting thoughts on dark and light too, and explored them a lot. His last album was called Blackstar [Explicit] . To some extent this album was a bit “morbid,” perhaps because he knew his own death was approaching. I believe that Bowie thought, as I do, that darkness, (or yin, the right brained, intuitive or feminine principle) is COMPLEMENTARY and NOT OPPOSITIONAL to the Light, or yang, the left-brained, masculine, logical principle. (You know, the “yin-yang”?) This is what is commonly believed in Eastern (Buddhist, Hindu and Taoist) thought. Personally, I am more logical, or yang. But I like staying up at night. Go, figure. Here, watch this cool Visualization effect “Journey inside a black hole”. (Hint: it’s not really anything like a black hole, so far as I can see, though it is hypnotic. Oh HELL, you know, God don’t care if I smoke (I asked him) and he told me to tell you, Grace church, you were WRONG to deny me help just because of an addiction. People have addictions. I smoke. Period. Deal with it. Hate me if you must (Christians are supposed to LOVE everyone, or did I miss something? 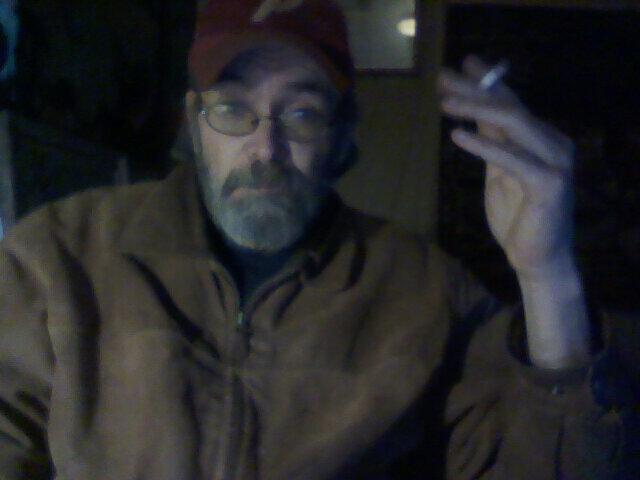 ), but I can’t beat that addiction and I guess I’ll smoke till I die. End of story. You see, apparently Christians think witches are evil because they reverence the moon. Many Christians think the moon is the devil. But those who know their Greek mythology understand the moon in terms of the Goddess Athena (particularly at the full moon). And is it not written in the creation story, “God made the sun to watch over the day, and the moon to watch over the night”? Don’t you see? The common thread here is the Light. It is the LIGHT which is sacred, whether the bright light of the day, Jesus/Apollo/Ra, the sun god, or the paler, gentler light of the night sky, Athena, the Goddess. I guess the dark (new) moon is another question. Another, more ancient (Greek) name for the earth is GAIA, which can be thought of as “the earth-moon synergy.” Check out the Wikipedia article on The Gaia Hypothesis, a formal scientific hypothesis which has never been disproven by the atheist scientists or the Christian ones. It essentially states that all the systems and ecosystems of the whole Earth function together as if they were a single living organism. Gaia (this overall “synergy,” or Mother Earth), has one over-riding function or purpose, to maintain Life on earth in a homeostasis, or steady state, in other words the LIFE of this world supports us all. Witches, who are matrilineally descended (from their mothers), reverence the feminine principle of Life. Hebrews and Christians, who reckon their descent from their fathers, appreciate especially the masculine life force, or principle. Seems to me, the feminine force is strongest in the Spring, when the flowers bloom, and the masculine principle dominates in the Fall, when flowers go to seed. And then there are those odd creatures who call themselves “Christian witches.” Actually, I have never met one, but I am certain some people do think they are Christian AND witches. But that’s just a LABEL, I consider myself a Christian, and that’s that. The Wiccans, a “white” or good kind of witch who deal a lot in herbalism, call the sacred Light The One, all the light of the universe, and he is (close to) THE SAME as the Hebrew God Yahweh. Now do you begin to understand? The true nature of Life, what it really is, is known only to God and is a divine Mystery. Watch Album: Shepherd Moons (1991) – Enya (Remastered Limited Edition 2015). May we all know the inner Peace of the music of Enya. Jesus is the peace which passeth all understanding. May we all live in Peace. May we all have that Peace of mind. Amen and May it be. I really want a job where I can work from home. No one seems to want to hire a mentally disabled man. Even though I was trained by a CIA editor and Yale Ph.D. and have eleven years of college, have edited 12 books and had the cover of an issue of History Magazine. If only someone who had the means would give me a Good job, something involving writing and/or editing, which I’m good as heck at, then I could live a decent life but come the 10th or 15th of the month, even though I haven’t wasted any money, my disability money is spent for the month and I’m broke. I don’t quite understand why I have to live this way…. Still, I AM grateful for what I have. It’s a fact that if you have a roof over your head, heat, and enough food to eat, you’re better off than 75 percent of people in the world, overall. I just am hoping to find a decent job, that’s all. “For those who love, time is eternity” Please try to understand how much God loves you. …and then there are those pesky Pantheists. Well, they have a few points, too. See God = All = Logos & He is Life; Time Is, The Daily Walk with Miracles, January 4, 2016, by Paul Evans. However you conceive of Him, please know that God is very real in the universe, sacred and Holy, and He loves you. Keep the faith!